New official doping tests of boxer Alexander Povetkin have proven to be clean, Andrei Ryabinsky, the head of the World of Boxing promoting agency, said. 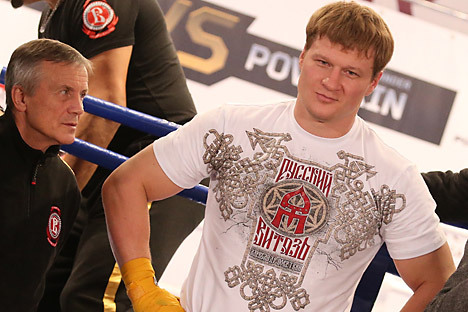 "We have received Povetkin's new official tests. They are clean. Now the opponents and certain American journalists will have to apologize to us. And pay," Ryabinsky wrote on Twitter. Povetkin was supposed to fight for the WBC heavyweight champion title with U.S. boxer Deontay Wilder in Moscow, on May 21. Nine days before the match, a doping probe showed a positive result for meldonium. Earlier, Povetkin's promoter Ryabinsky said that meldonium content in the boxer's blood sample was admissible. On May 25, The World Boxing Council (WBC) allowed Wilder to make a voluntary defense of his WBC heavyweight champion title, following the cancellation of the fight with Povetkin, due to the doping test examination.